"2017 started with a short film I made out in South Queensferry. 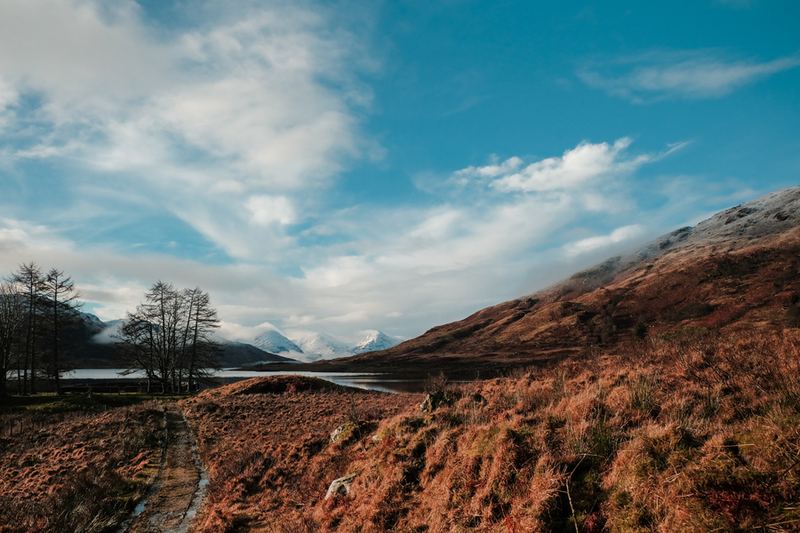 Thinking this might become something of a yearly adventure, this time we set off for Scotland's wild wooded glen – The Trossachs. The sun sets around 4pm in winter, so time was against us. "To drive, it's only an hour and forty-five minutes away from Edinburgh to enter the park boundary. We had a quick pit stop in Aberfoyle (the Scottish Woollen Centre was open, curiously) before heading off along wee Loch Ard. The water runs high here, almost at road level. Thankfully I'd been given a 4x4 for this trip so we blasted through 3ft of water making a wondrous splash. The car aquaplaned and I held my heart in my mouth for a few seconds. 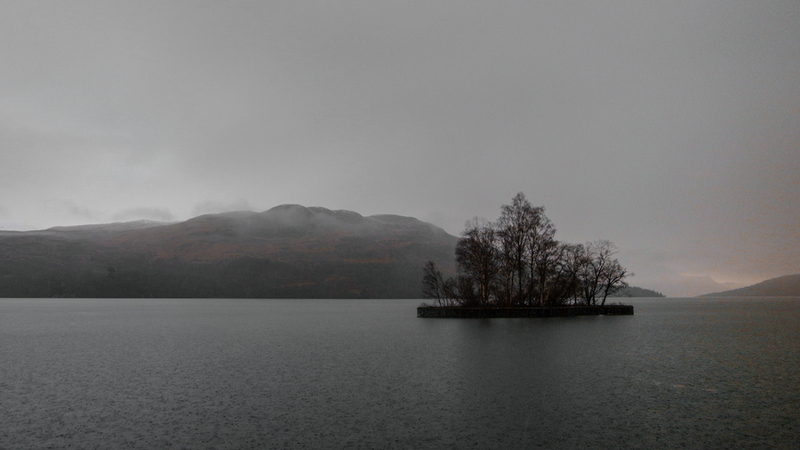 We carried on past Loch Chon before we arrived at the intended south west point of Loch Katrine, Lochside Cottage just announcing itself through the mist. Rain was pelting down so we took shelter in the car with coffee, sandwiches, and an assortment of salty snacks. On New Year's Day, we had the view to ourselves. 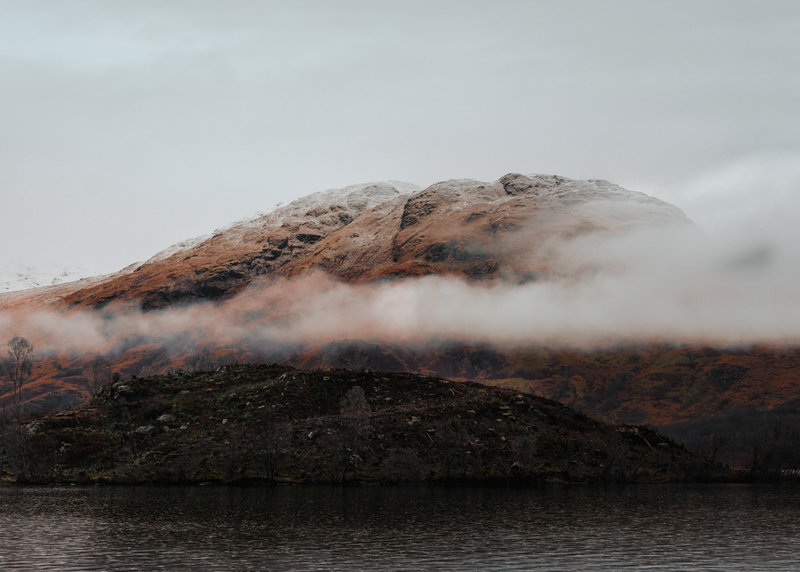 Low clouds waned away revealing frosty peaks, and we were treated to the burnt orange tones of Scotland's beauty." 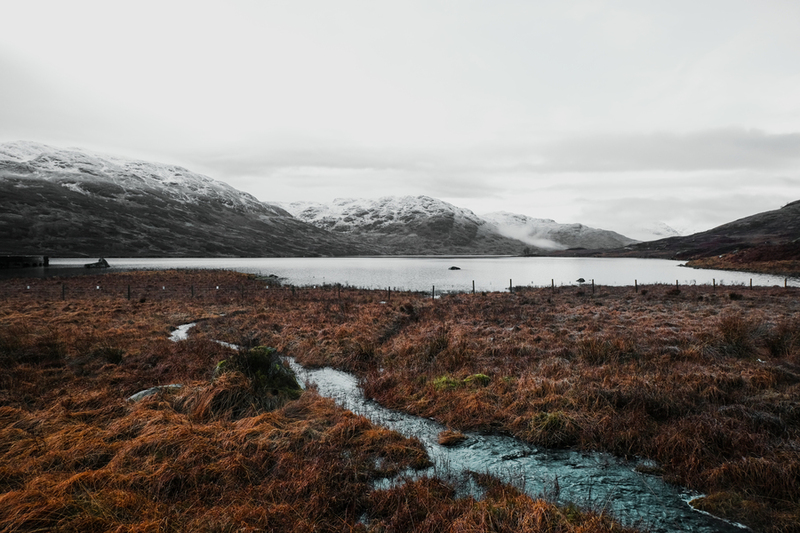 Adam Wilson is a graphic designer in Edinburgh, who usually has his head buried deep into digital projects. He's designed sites for The National Trust for Scotland, Edinburgh International Festival, Radisson Red and Scotland itself to name a few. After editing other people's work for years, he finally bought a camera in 2007; the transition into making his own work started a passion he still has today. His favourite work is travel photography.